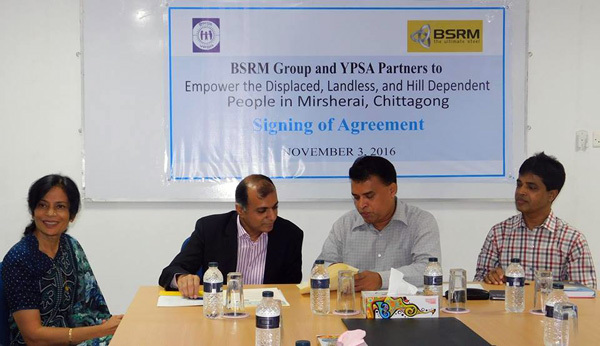 A long term partnership agreement was signed between YPSA and BRSM on 3rd November 2016 at the BSRM head office. The purpose of this agreement is to empower the displaced, landless and hill dependent people in Mirsherai Upazilla of Chittagong through integrated socioeconomic development interventions. The agreement was signed by Mr. Aameir Alihussain, Managing Director of BSRM Group and Md. Arifur Rahman, Chief Executive of YPSA.